Today it is five years to the day that British boxing hope Audley Harrison’s career finally bit the dust. On the undercard of the Amir Khan v Julio Diaz fight, at Sheffield Arena, the Londoner was pummelled by Deontay Wilder. It was a humiliating first round defeat for Harrison, who never set foot in the ring again. The loss had been the 6ft 5ins southpaw’s seventh - and fourth knockout. For Wilder, it was his 28th loss and he’s won a further 12 since, taking the World Boxing Council World Heavyweight title in 2016. 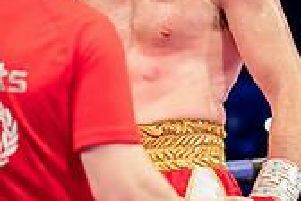 Also on the bill that night in Sheffield was one David Allen, the Doncaster man stopped Deyan Mihailov in his third professional heavyweight fight.